Donald Trump has blasted former secretary of state Rex Tillerson in a sharply critical tweet, a day after the nation’s former top diplomat publicly recounted that the President had tried to do things in a way that violated the law. In an interview with CBS News, Mr Tillerson described Mr Trump as “pretty undisciplined, doesn’t like to read, doesn’t read briefing reports … doesn’t like to get into the details of a lot of things”. Asked how his relationship with Mr Trump had gone off the rails, Mr Tillerson said it might have reflected what he saw as his obligation to tell the President that he could not do certain things because they were illegal or would violate US treaties. Mr Trump took to Twitter to return fire, saying Mr Tillerson “didn’t have the mental capacity needed” for the job, and “was dumb as a rock”. “I couldn’t get rid of him fast enough. He was lazy as hell,” he said. Mr Trump fired Mr Tillerson on March 13 after a series of public rifts over North Korea, Russia and Iran policy. 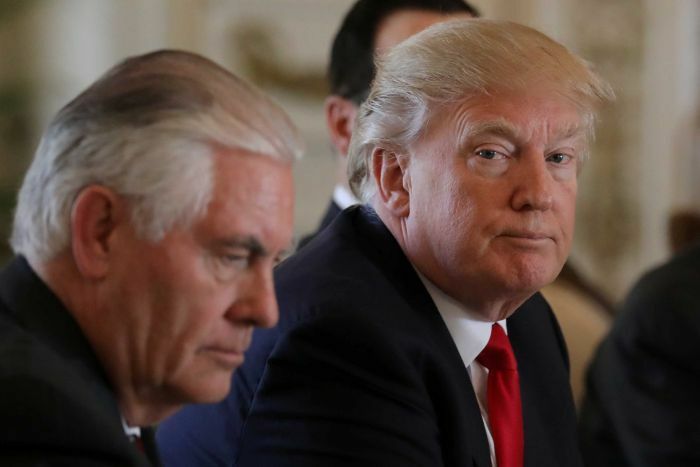 In addition to policy disputes, relations were strained by reports that Mr Tillerson privately called Mr Trump a “moron”. Mr Trump’s fiery tweet came hours after he tweeted that his legal team had already drafted a rebuttal to any report issued by the special counsel in the Russia investigation. 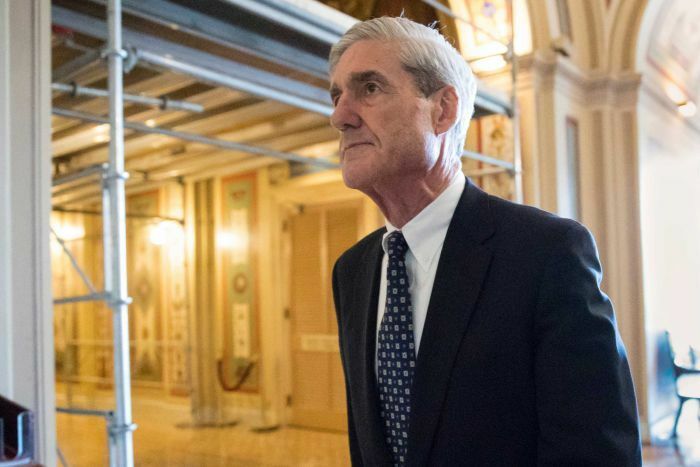 US Special Counsel Robert Mueller is expected to provide new details on how two of Mr Trump’s closest former aides have helped or hindered his probe into possible collusion between Russia and Mr Trump’s 2016 election campaign. The Republican President said his team’s report was 87 pages so far, but said it would not be complete until Mr Mueller issued his report. Also on Friday (local time), federal prosecutors said former Trump campaign chairman Paul Manafort lied to them about his contacts with a Russian associate and Trump administration officials, including in 2018. The court papers say Mr Manafort initially told prosecutors he did not have any contact with anyone while they were in the Trump administration. But prosecutors say they recovered “electronic documents” showing his contacts with multiple administration officials. The officials are not identified in the court filings. Mr Manafort, who has pleaded guilty to several counts, violated his plea agreement by then telling “multiple discernible lies” to prosecutors, they said. Federal prosecutors also asked a judge to sentence Mr Trump’s former lawyer Michael Cohen to a “substantial term of imprisonment” for paying adult film star Stormy Daniels hush money on Mr Trump’s behalf and evading taxes. Mr Cohen, who has been cooperating with Mr Mueller’s probe, pleaded guilty to the charges in August. The Justice Department said on Friday that Mr Trump directed illegal payments to buy the silence of two women whose claims of extramarital affairs threatened his presidential campaign, the first time prosecutors have connected Mr Trump to a federal crime. In a court filing, prosecutors said Mr Cohen arranged the secret payments “in coordination with and at the direction of” Mr Trump. In one of the filings, Mr Mueller details how Mr Cohen spoke to a Russian who “claimed to be a ‘trusted person’ in the Russian Federation who could offer the campaign ‘political synergy’ and ‘synergy on a government level’”. The person repeatedly dangled a meeting between Mr Trump and Russian President Vladimir Putin, saying such a meeting could have a “phenomenal” impact “not only in political but in a business dimension as well”. Mr Cohen pleaded guilty last week to a separate charge by Mr Mueller’s office that he lied to Congress about discussions over the construction of a proposed Trump Organisation skyscraper in Moscow. Mr Mueller’s office said Mr Cohen should serve any sentence imposed for that crime concurrently with the sentence imposed for the New York charges, saying he had gone to “significant lengths to assist the Special Counsel’s investigation”. The New York prosecutors said in their filing that Mr Cohen should receive some credit for his cooperation with Mr Mueller, but noted that he had not entered into a cooperation agreement with their office. They said his sentence should reflect a “modest” reduction from the roughly four to five years they said federal guidelines would suggest. Mr Cohen is scheduled to be sentenced next Wednesday on all of the charges to which he pleaded guilty. The Mueller probe has infuriated Mr Trump, who has regularly issued tweets criticising the Special Counsel and his team. House Republicans also interviewed former FBI director James Comey behind closed doors on Friday after he failed to fight a subpoena in court. “When you read the transcript you’ll see that we’re talking again about Hillary Clinton’s emails for heaven’s sake, so I’m not sure we need to do this at all,” Mr Comey told reporters. Mr Trump took to Twitter to rail against “total bias and corruption” and said Mr Comey should be forced to answer “the most important questions” under oath. It was the first time he has answered politicians’ questions since an explosive June 2016 hearing in which he asserted that Mr Trump fired him to interfere with his investigation of Russia’s ties to the Trump campaign. Previous Post Program offers universal basic income to struggling black moms. But it comes at a cost.